Hauser ... safety is a priority. 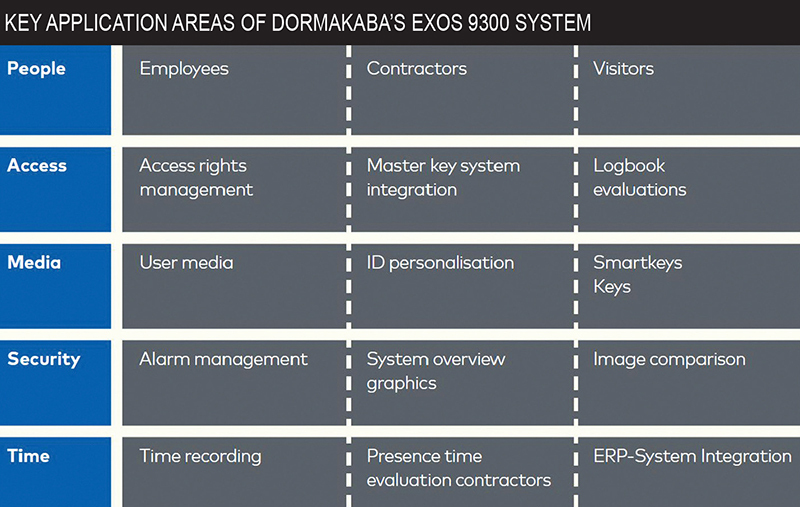 Dormakaba says its Exos 9300 threat management system offers various levels of foolproof access control administration in any facility while striking a balance between safety and security. The software, known for its high reliability, can be configured at five levels of security for threat management based on client requirements while taking into consideration the hardware installed, a spokesman for dormakaba tells Gulf Construction. Elaborating on how Exos 9300 can achieve a balance between safety and security in any facility, Christoph Hauser, general manager Qatar and Bahrain, dormakaba Access Solutions, cites the example of a two-tower complex with a shared podium, where one tower is a hotel and the other is a commercial tower. “In a typical situation, card readers are located all around the building, including and not limited to car park access, staircases, lift lobbies, main entrances, etc,” Hauser says. The facility management firm has established that when the threat level is low, and everything is normal around the complex, all access doors will be controlled by card only, which is how the system has been designed to operate in a normal situation. However, Hauser says, the hotel tower is frequented by VIP and VVIPs and hence a high-security environment is recommended. Using the threat management option of Exos and with the click of a button, the system can be reconfigured from being in a normal state to one attuned to a high-security environment. In this case, the facility is protected by access doors that use cards as well as PIN/fingerprints (subject to the installed hardware), and switches to an increased security level. It verifies, through the card swipes if the person using the card is actually the one registered in the database. Hauser points out however that while security is essential, safety of the occupants is a priority, as the facility should not become a lockdown area in case of an emergency such as a fire. In such a crisis, the threat management system will alter the system configuration and the access doors will change from entirely locked entrance doors to full-release access doors allowing free egress to people. He continues: “Having a software with a wide range of features and versatility is like the human brain, which requires muscles to execute the orders. The muscles here is the wide range of the door hardware. When there is a need to combine safety functions and security in an exit door, an electrically-operated exit (panic) device should be used. Electromechanical locks can be used with automatic doors (swinging and sliding) and also as a replacement to electromagnetic locks, he adds. That is why the function of every door in a project needs to be studied as per the requirement of the designer, client and the relevant government authorities, such as the Civil Defence, he adds. “The project management team of dormakaba is certified and trained to develop complete solutions for various types of buildings by combining products from its comprehensive portfolio to provide safe and secure access solutions,” concludes Hauser. dormakaba Access Solutions is part of the dormakaba Group, a global leader in secure and smart access solutions for buildings. 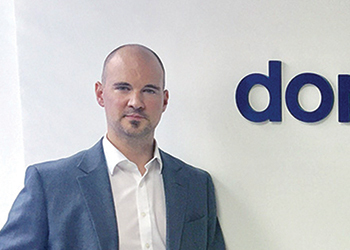 The group, formed following the merger of Dorma and Kaba, has become one of the top three global market leaders in its sector. dormakaba Access Solutions offers a comprehensive portfolio of products, solutions and services related to doors and secure access to buildings.